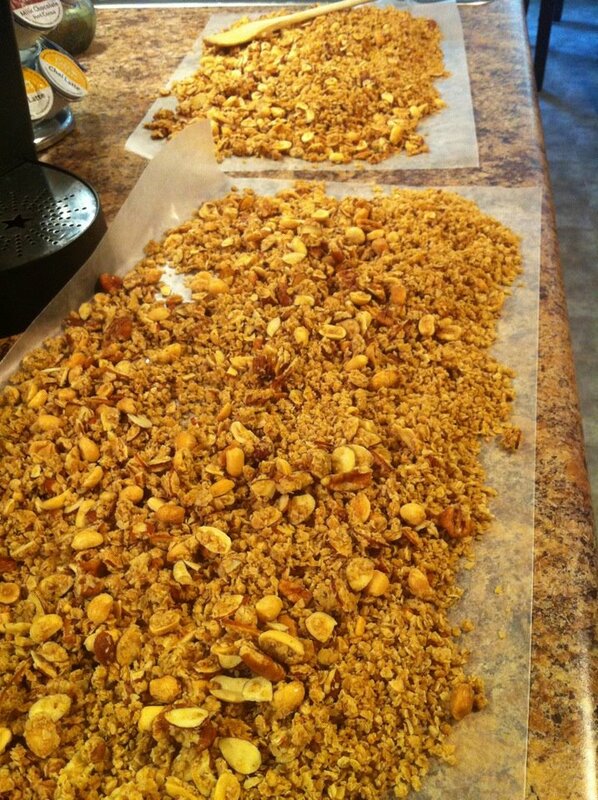 I love making this granola. I used to make it all the time back in Colorado, but haven't made it since we moved to the new house. I originally got the recipe from my friend in Germany (another military wife) but switched it up a bit and made it my own. Ingredients- minus the wheat germ that I forgot to put in the photo. Step 1- Preheat oven to 250 degrees. Spray large baking sheet with non-sick cooking spray. 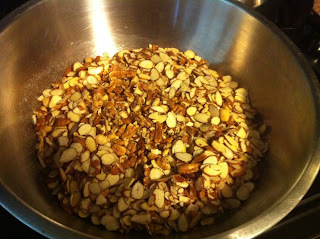 Step 2- In large bowl, combine dry ingredients. 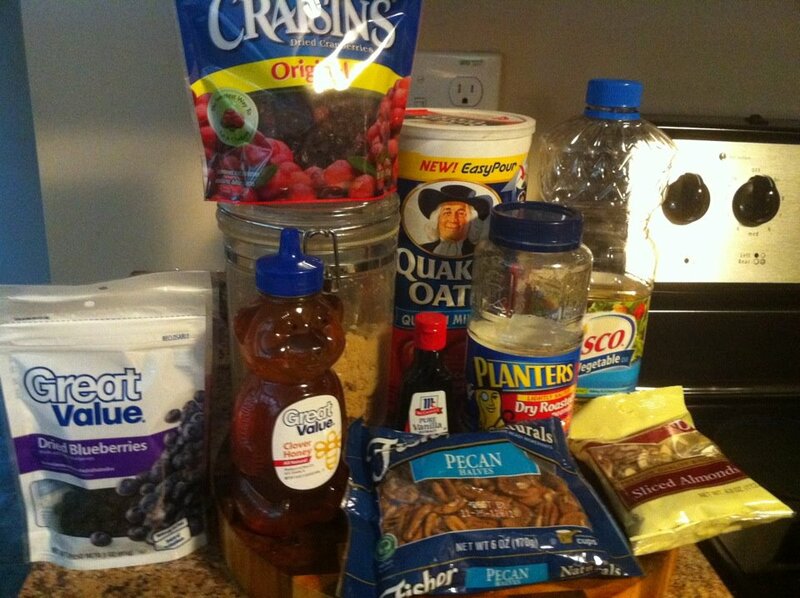 Step 3- Combine wet ingredients. Mix well. Step 4- Pour wet ingredients into your bowl of dry ingredients. Step 5- Time to get your hands dirty! Mix ingredients by hand until everything is coated evenly with the honey mixture. Spread out evenly on your baking sheet. Step 6- Bake for about 1 hour at 250 degrees, stirring every 10-15 minutes. Depending on your individual oven, cook time may vary. The granola is done when it is a nice golden brown, moves easily on the cookie sheet, and feels mostly dry. Step 7- Allow to cool. 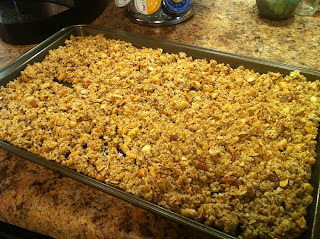 You can let it cool on the baking sheet if you'd like, but I like to cool it on sheets of wax paper on my counter. 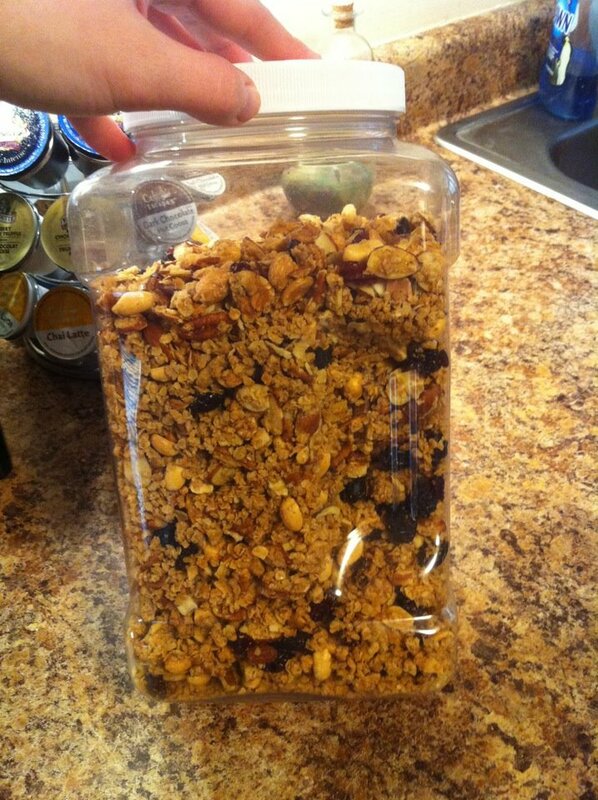 This way, it's easier for me to get it into the container in the next step. 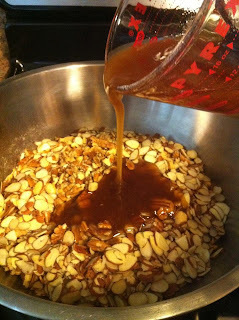 Step 8- Once completely cooled, you can sprinkle your dried fruit on top. 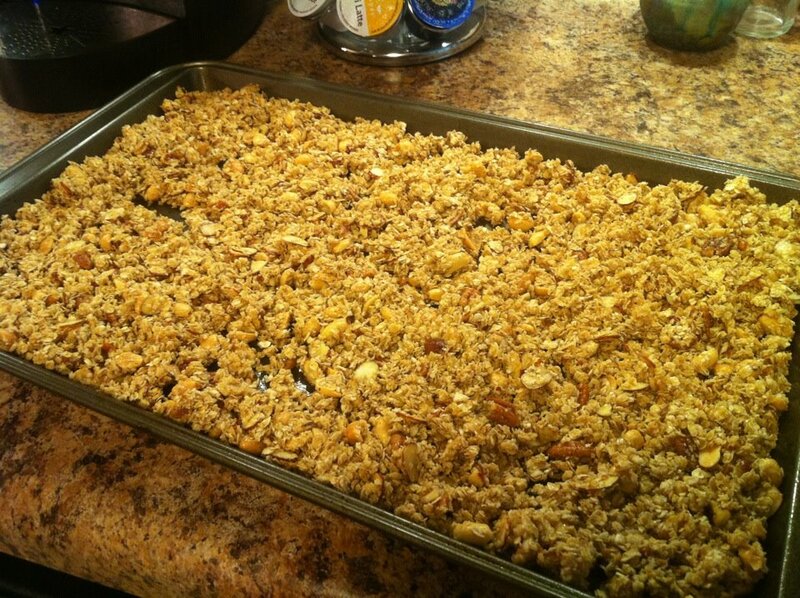 For mine, I used 1/4 cup each of dried blueberries, cherries, and cranberries. Then, transfer your granola to your container (I pick up the edges of the wax paper and "funnel" it in), and shake the container to mix it all up evenly. Finally, all that's left to do is to enjoy it! Top your yogurt with it, eat it like cereal, whatever you like. Interesting, I might have to try it.